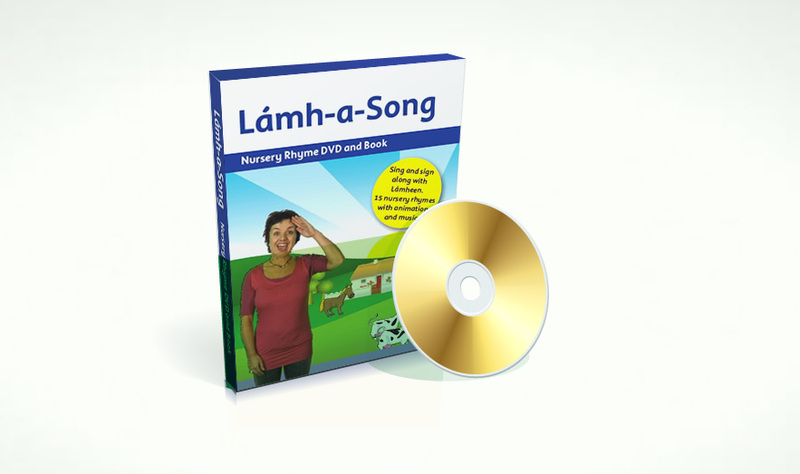 A Nursery Rhyme DVD and book for young Lámh users. Lámh-a-Song is a DVD of 15 nursery rhymes for young children, sung and signed using Lámh signs. Lámh-a-Song is for use by young Lámh users, supported by their families or carers, or pre-school staff, and others. Using Lámh-a-Song should be a fun activity and an opportunity to practice signs! The words being signed by Lámheen can be followed in the accompanying book, where they are highlighted in blue. Singing and signing with the Lámh-a-song DVD will be most effective when used as a shared activity, or the songs can be used as a reference for the family , carer or staff member to use in face-to-face situations with the child. Lámh-a-Song has been produced by Lámh with Down Syndrome Ireland. Price includes post & packing €2.50.